Great Hostess gift to accompany a Bottle of Champagne! Cork is easily removed from telescopic top. Chill bottle, remove foil & wire. Place opener firmly on bottle. Hold bottle at 45° angle and twist slightly. 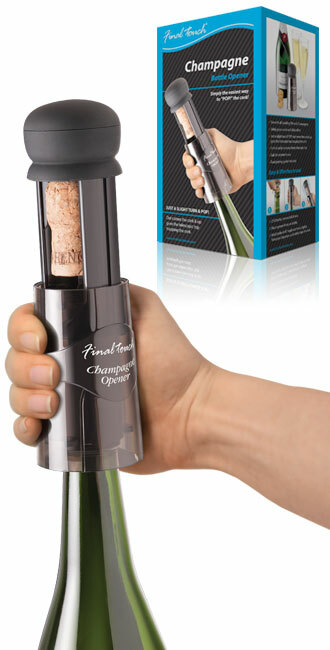 Telescopic top pops up & safely traps the cork.